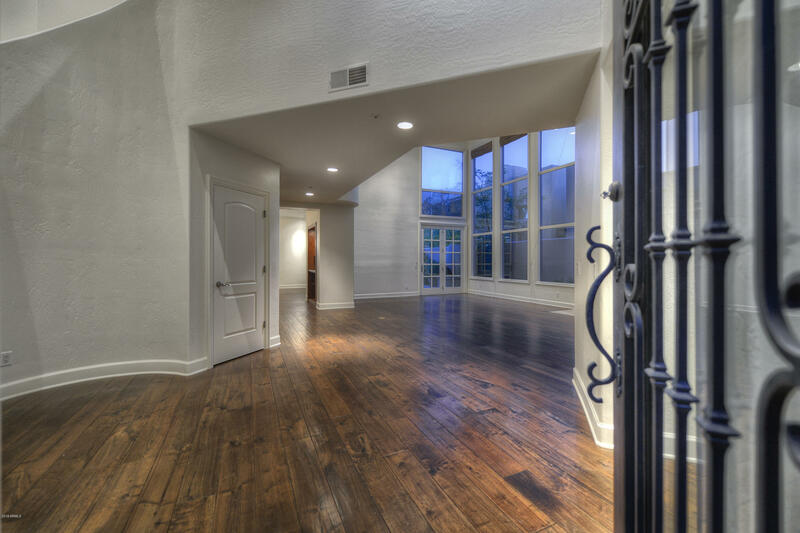 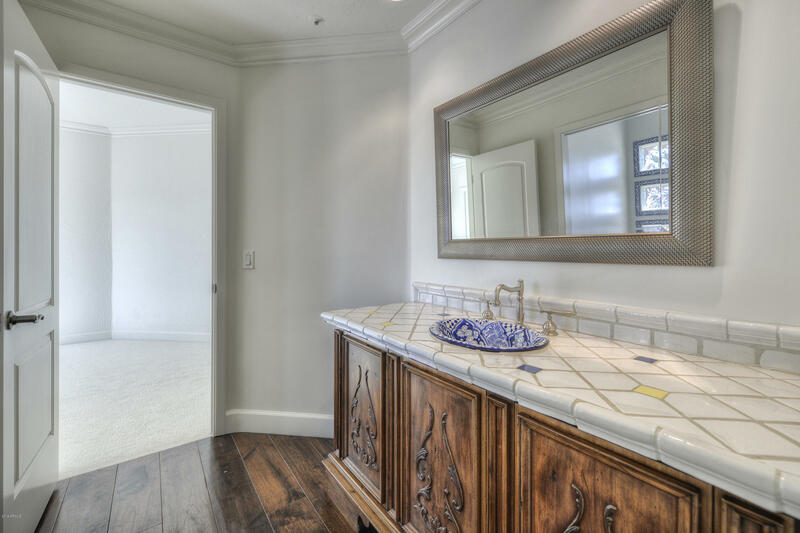 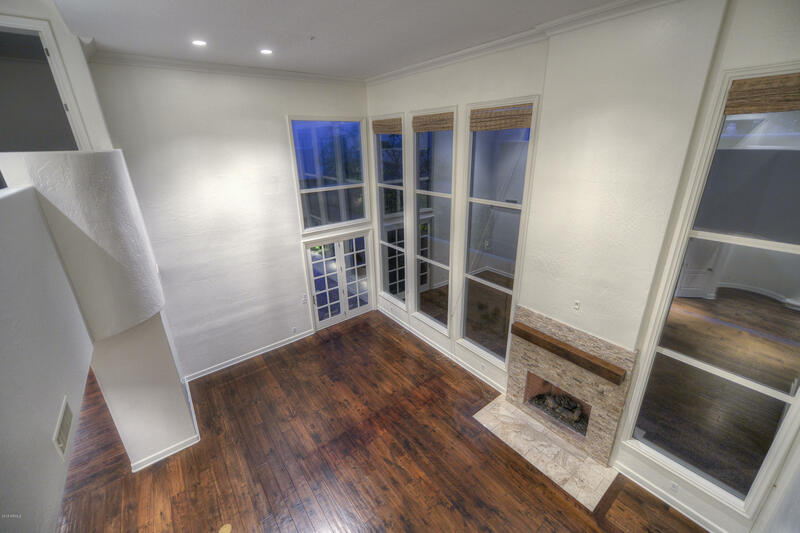 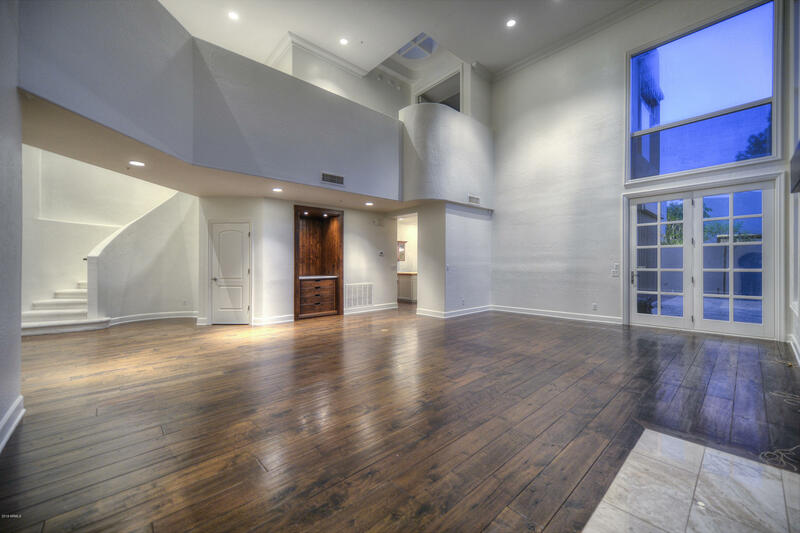 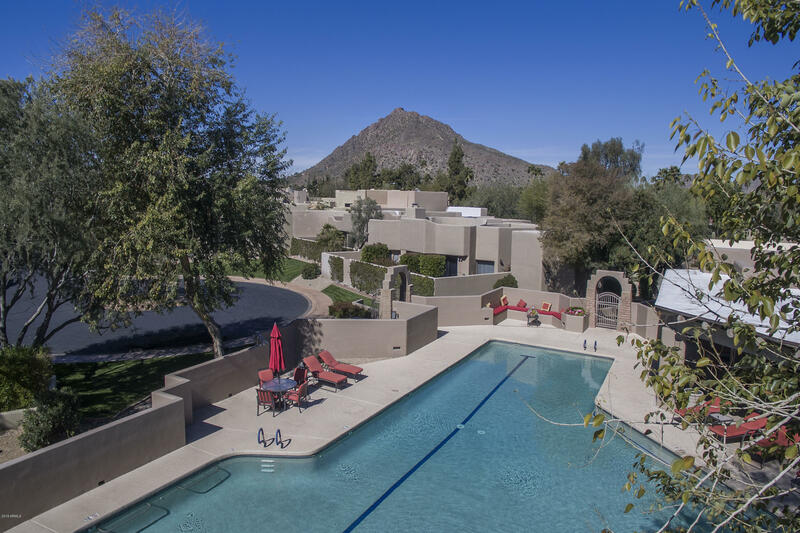 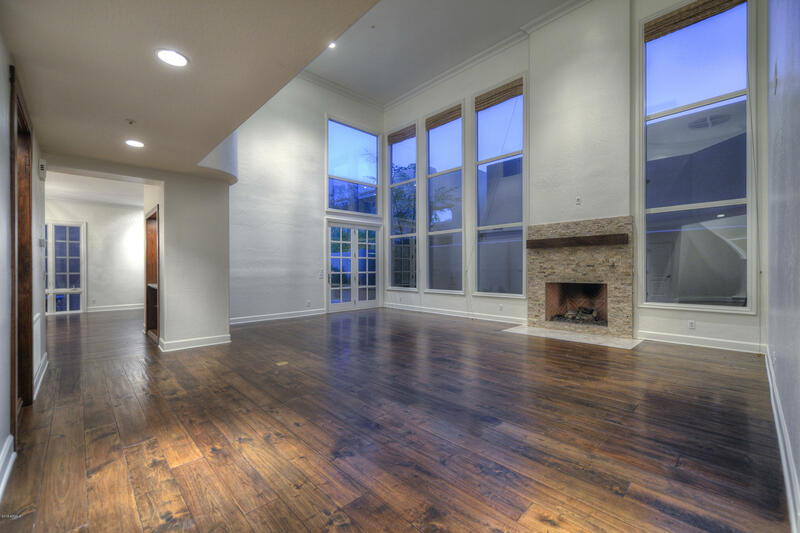 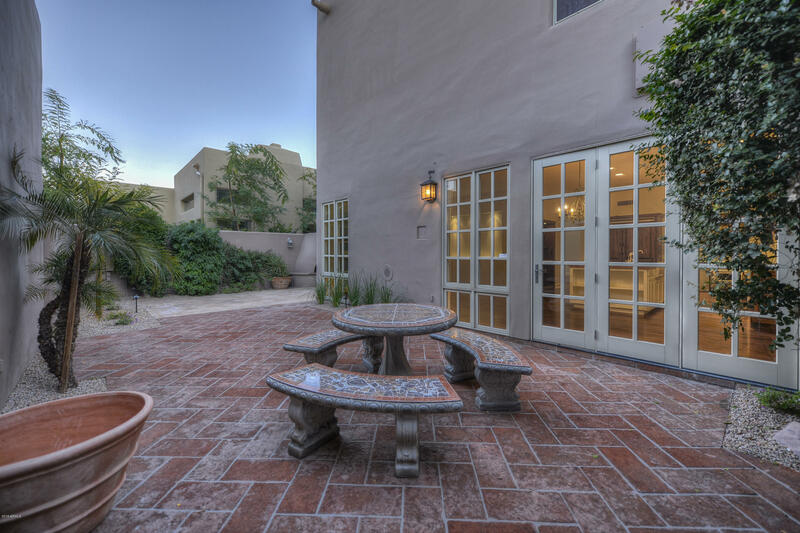 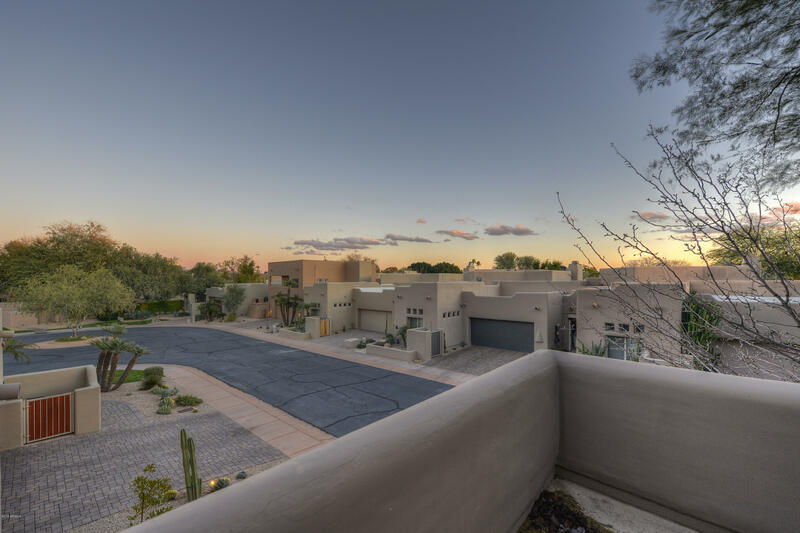 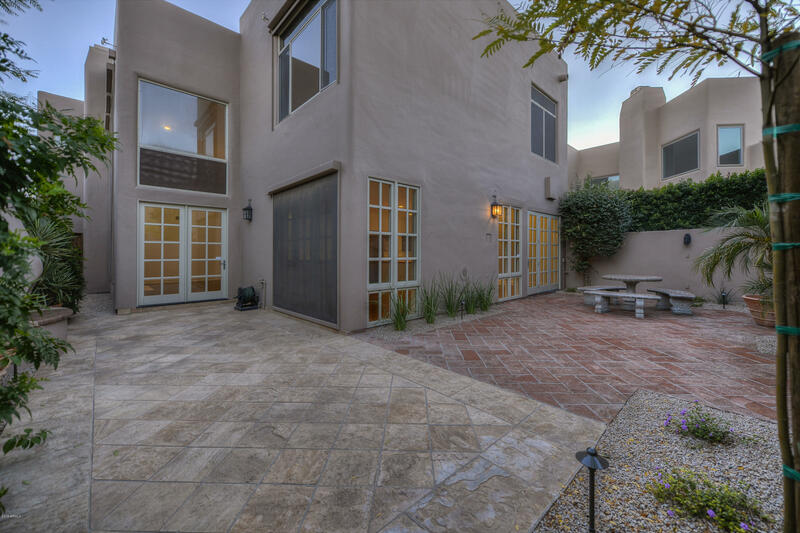 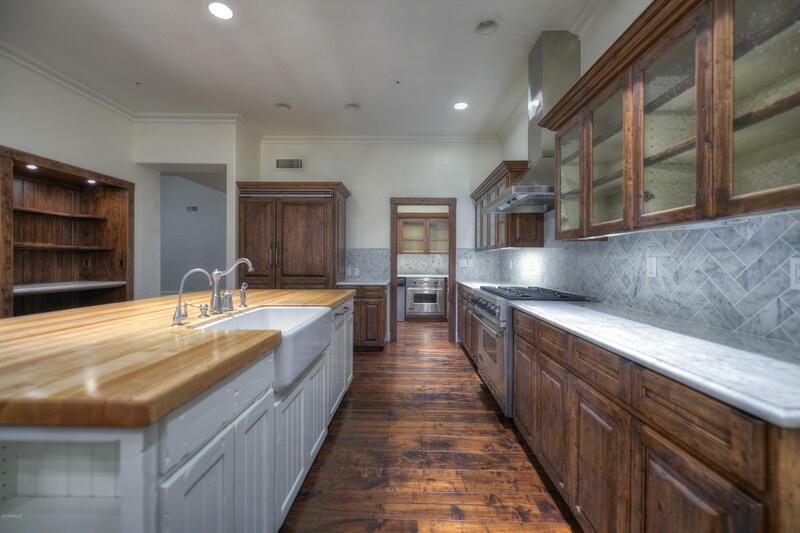 Absolutely stunning townhouse in the heart of Downtown Scottsdale. 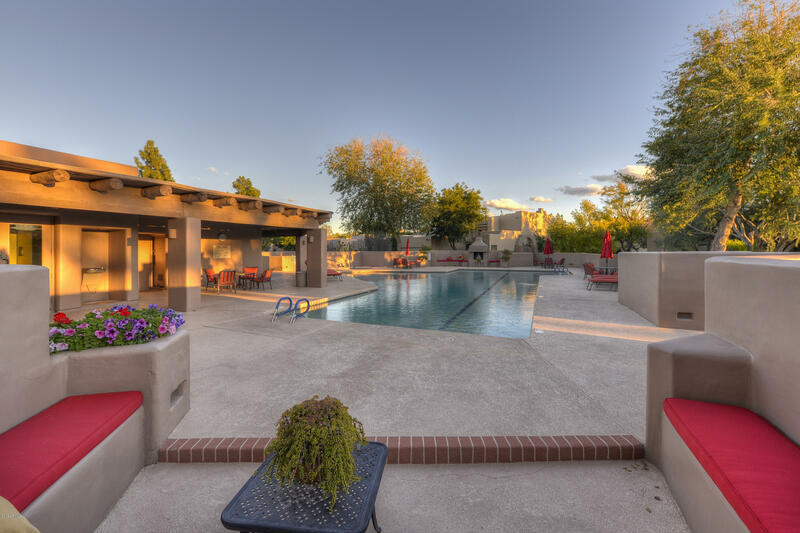 Located on a cul-de-sac near beautiful pool within a 24 HR guard gated community with mature trees/foliage. 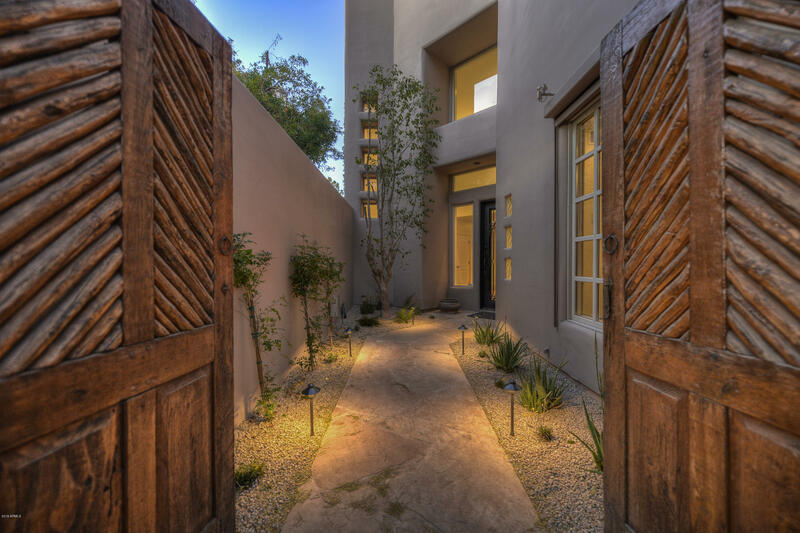 Enter into lovely courtyard to iron front door that opens to huge entry and living room with soaring ceilings. 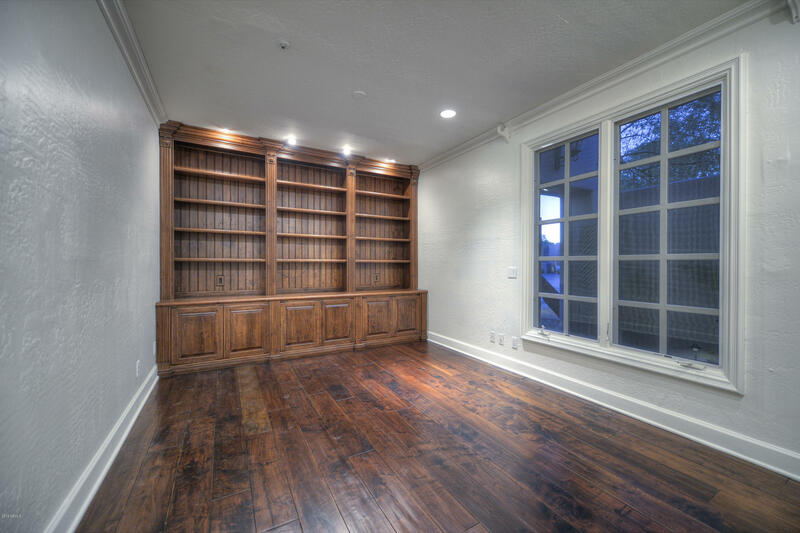 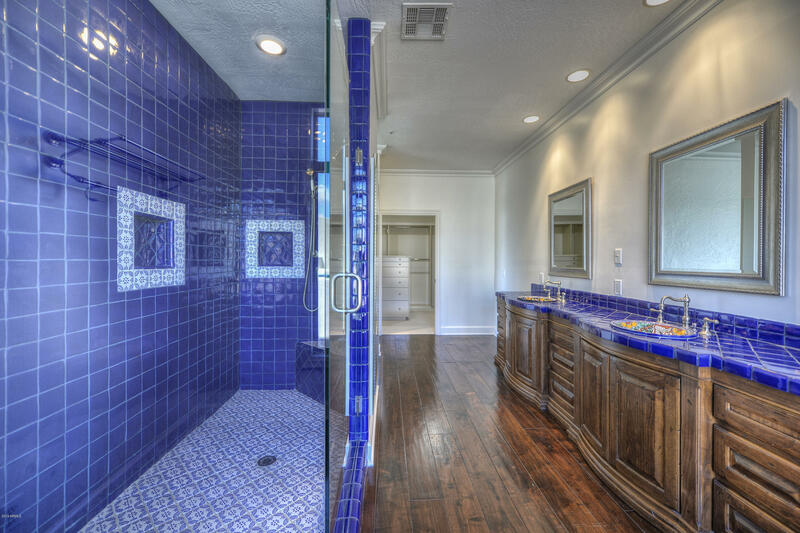 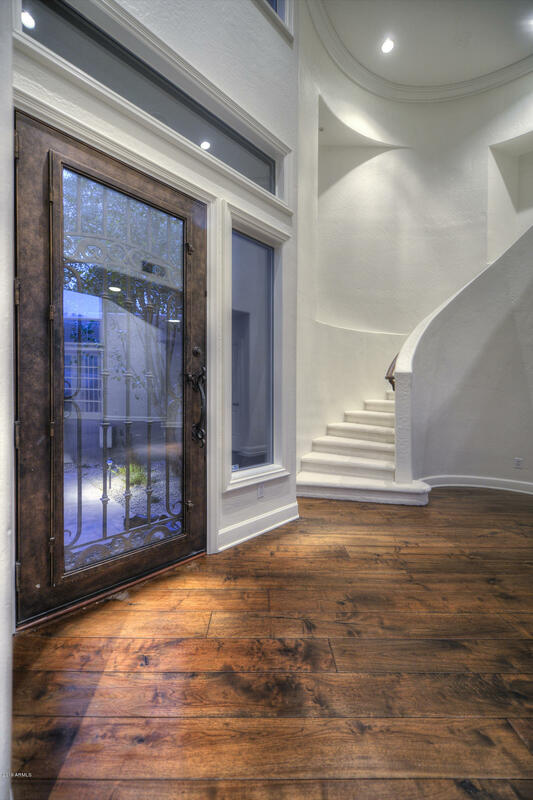 The entire downstairs includes wood flooring, with library/den and full bath. 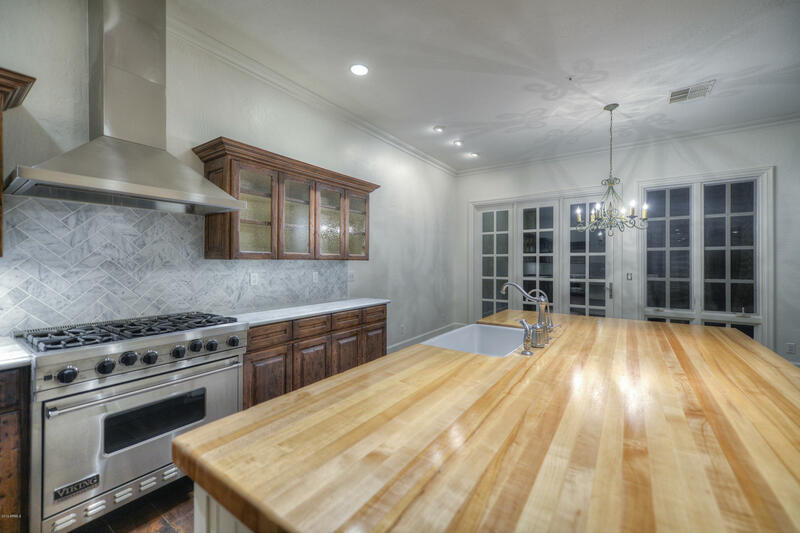 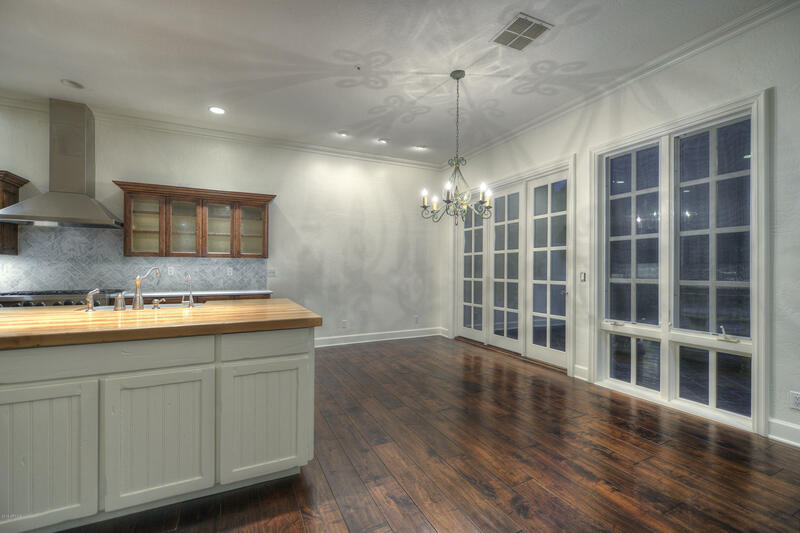 Striking kitchen with marble and wood countertops, Viking appliances, 2 ovens, large dining and family room with ceiling to floor garden doors having exterior electric blinds.Dramatic staircase to beautiful master and 2 bedrooms. 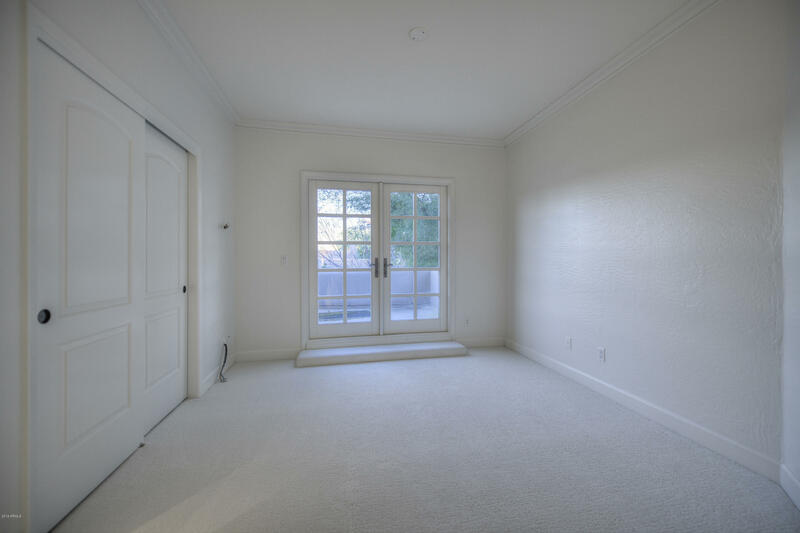 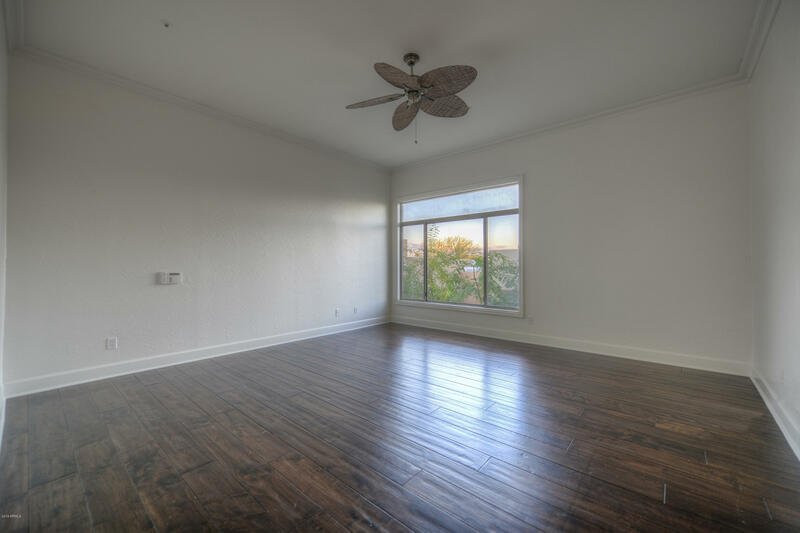 New paint, carpet, and much more makes this home feel new! 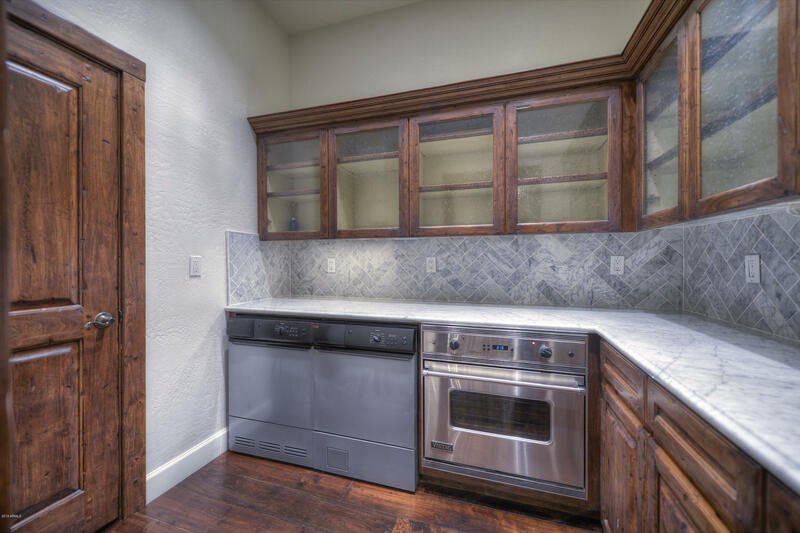 Two car garage includes prof built-in cabinets. 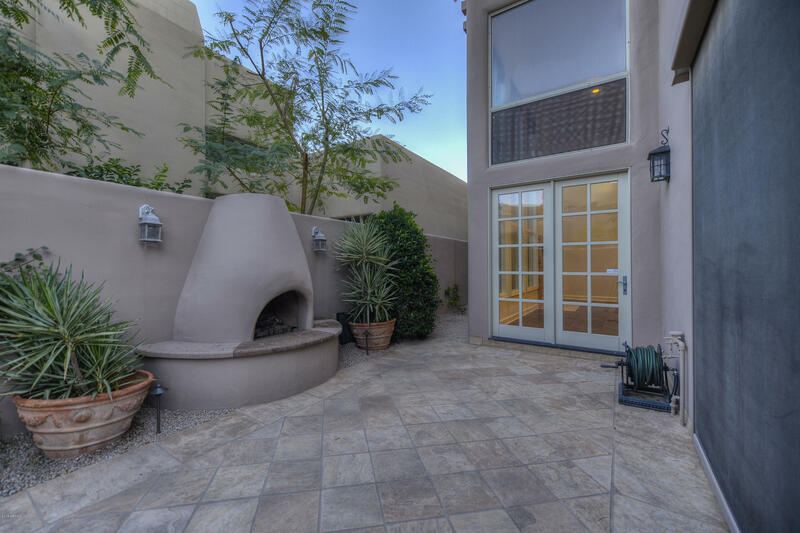 A gorgeous home in a gated community with the ability to walk to Fashion Square Mall and Old Town! 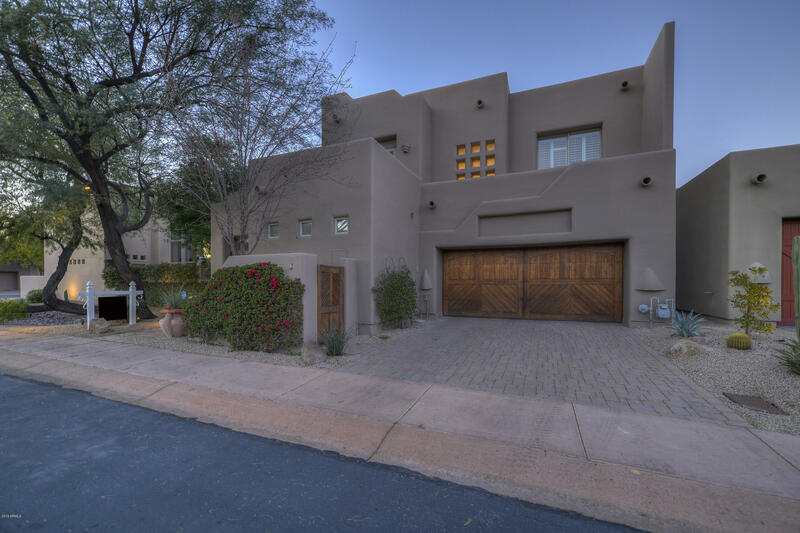 West on Camelback Road to Pavoreal Entrance and Gate on South side of Camelback.